Image 7369002: Waterfall on the mountain river in autumn. Long exposure shot. 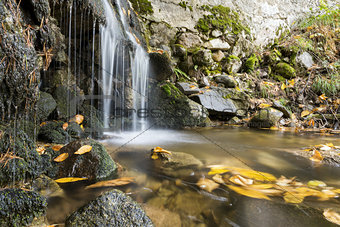 Image Description: Waterfall on the mountain river in autumn. Long exposure shot.